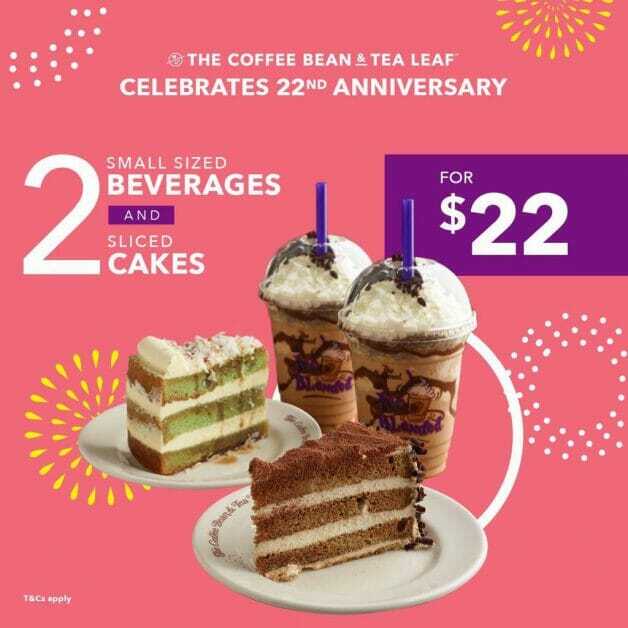 Coffee Bean & Tea Leaf (CBTL) is turning 22 this week and in celebration, the popular coffee place will be offering deals on their food and drinks from now till November 1. 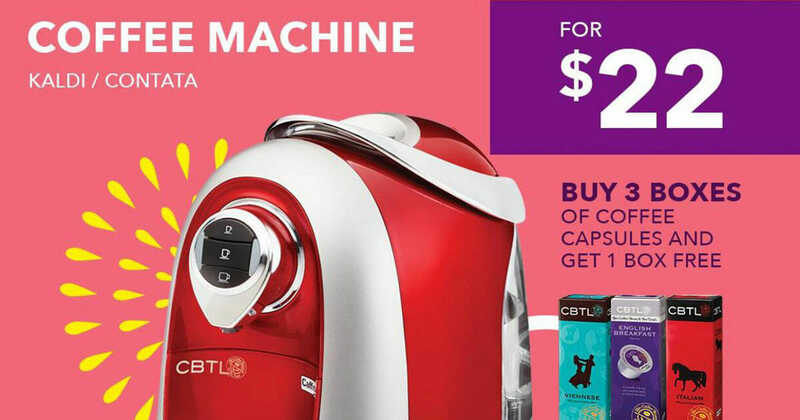 Including this insane CBTL Coffee Machine deal at just $22, which usually costs $339. 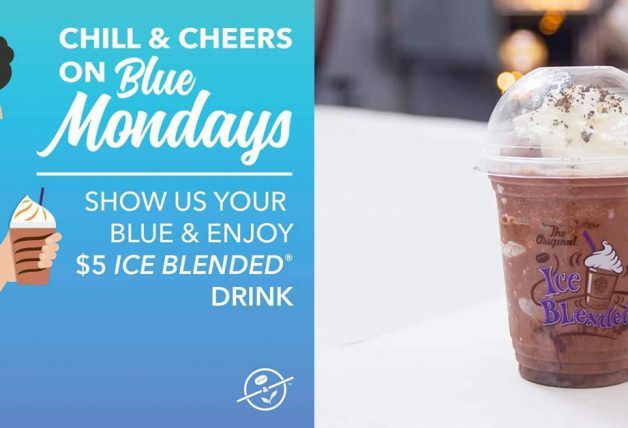 In case you are wondering, it’s not a typo according to the company. 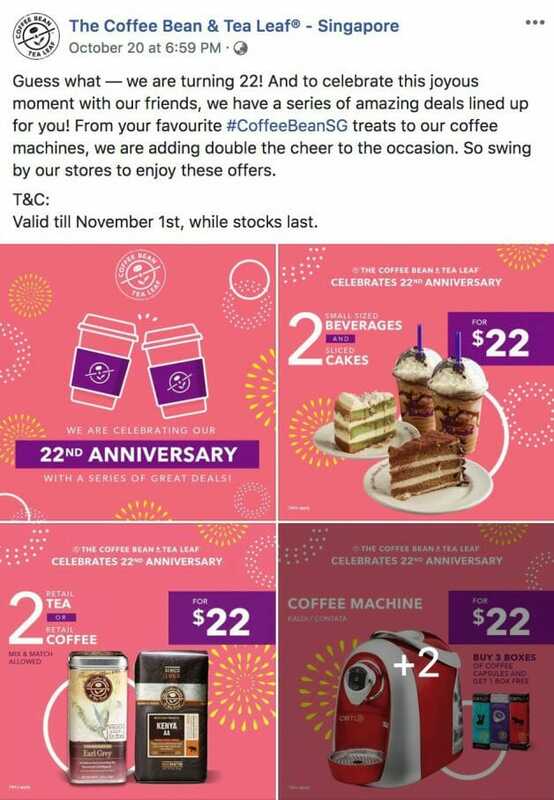 Coffee Bean Singapore announced the promotion earlier on Facebook last Saturday and had fans scrambling to their stores. 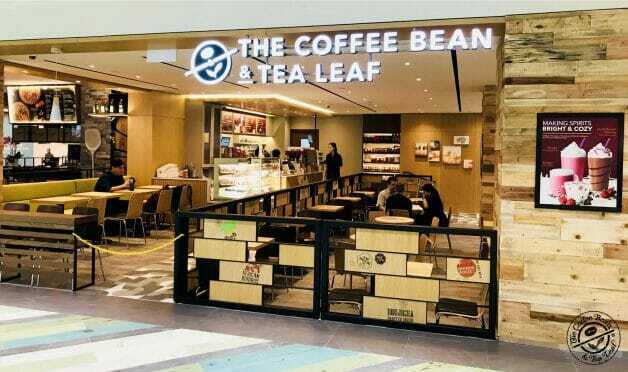 It is sold out at the moment, although it seems Coffee Bean will likely be restocking it soon. 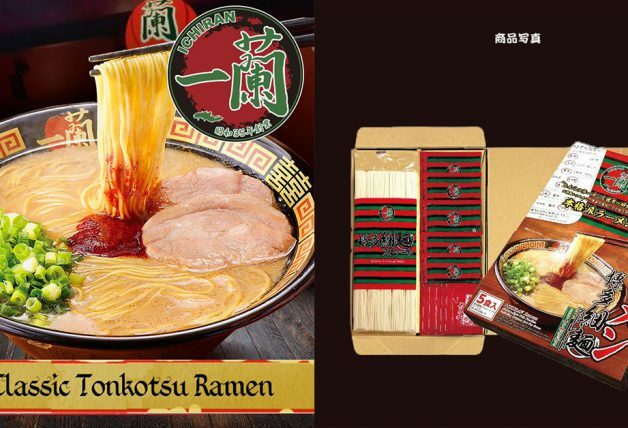 You can also follow their Facebook page for updates or their online listing here. 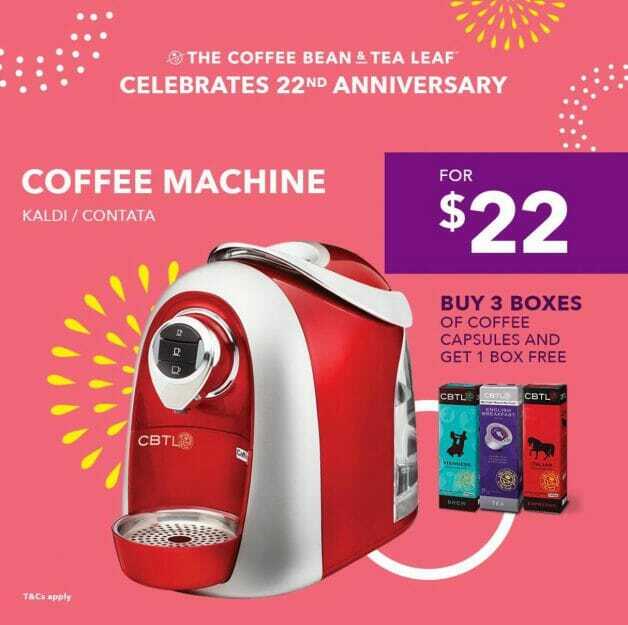 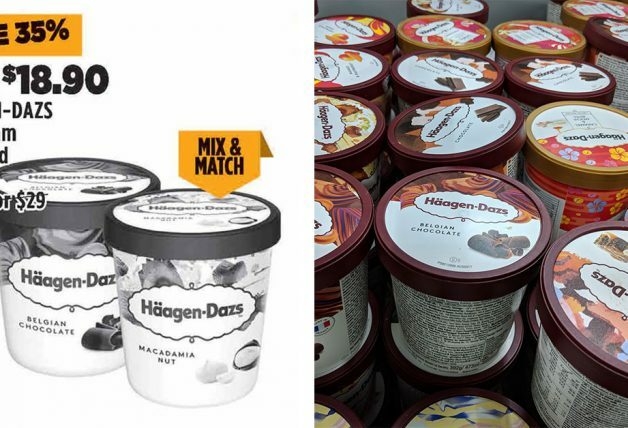 Besides that, you can also enjoy $22 treats on cakes and drinks combo, coffee and tea retail packs as well as desserts. 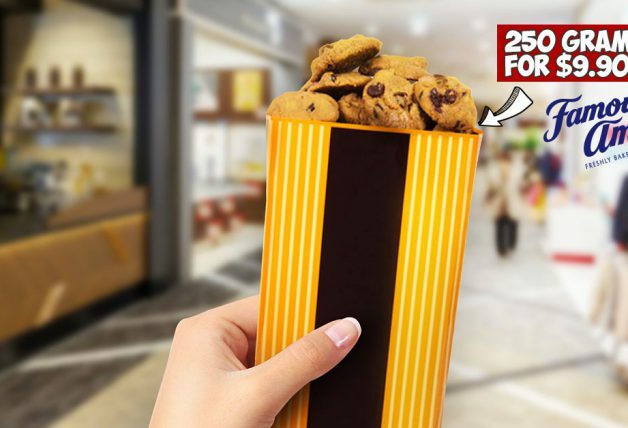 This one lets you buy 2 small sized beverages and 2 sliced cakes for $22. 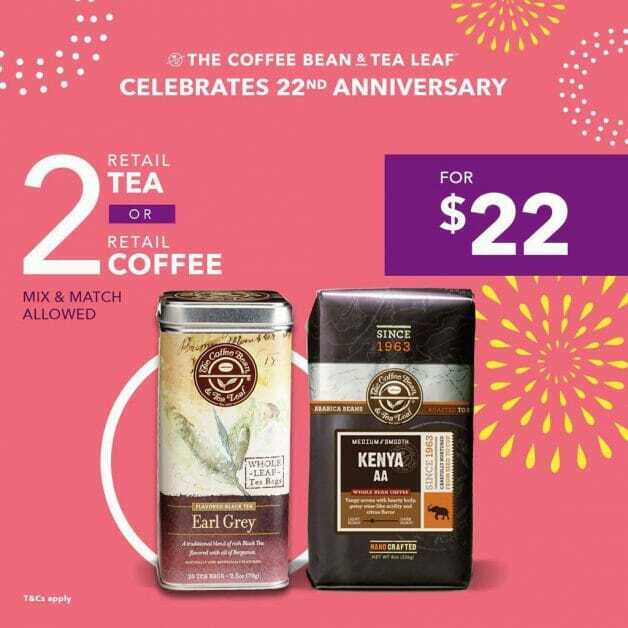 Or pick up 2 retail packs of CBTL Tea or Coffee at $22. 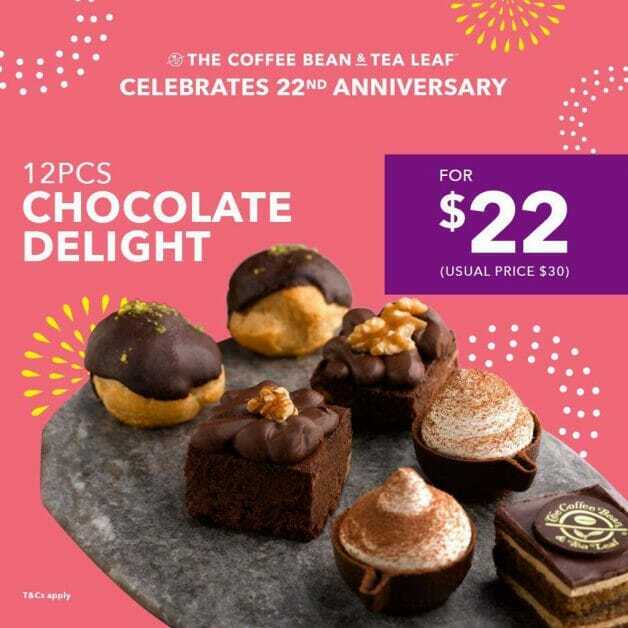 Chocolate tarts and puffs are up for grabs at $22 for 12 pieces.